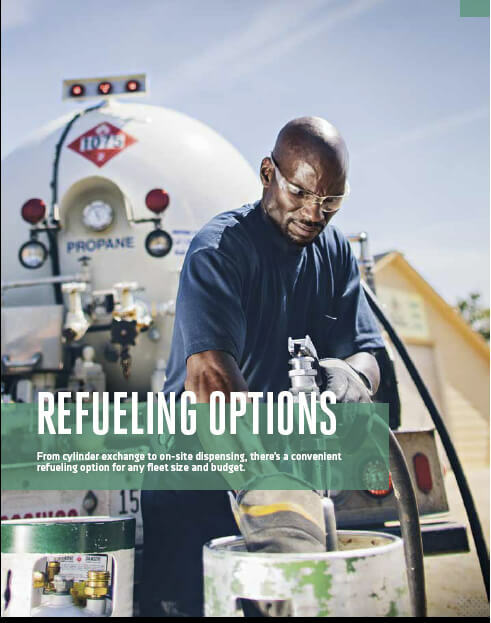 With its closed fuel system, propane saves money and protects the environment by virtually eliminating costly, harmful spills and by dramatically reducing fuel theft. Lock in a fuel contract with Liberty Propane to enjoy a fuel price that’s consistently less than gasoline. Then you can pass on those savings to customers for a more competitive price during the bidding process. Clean, Green Propane reduces harmful carbon emissions compared with conventional fuels, giving you an edge when bidding jobs with environmentally-conscious clients. With propane, there’s no more wasting time with trips to the gas station. Convenient, on-site refueling options, like cylinder exchange and on-site dispensing, ensure your crew spends more time doing the jobs that pay. *According to data obtained from Propane Mower Incentive Program participants. protection bollards for each fueling station. If you choose to own a tank and dispenser, the cost varies, depending on each business’s individual needs. We are here to develop the most cost efficient setup for your business. Over 150 propane mower models — including walk-behind, stand-on, and zero-turn-radius models — are available from top brands. The automotive-style, closed-loop EFI system available in Kohler EFI models optimizes air/fuel settings to maximize performance and efficiency. You may also convert equipment using EPA- and CARB-certified conversion kits. Another smart business move, propane autogas is proven to lower your total cost-of-ownership more than any other fuel. You can choose from light- to medium-duty vehicles from major manufacturers or convert a vehicle using an approved EPA- and CARB-certified conversion kit. Recharge electric handheld equipment like trimmers, blowers, and chainsaws with maximum efficiency. Propane costs less than conventional fuels, does not degrade over time, and is always available during a power outage. 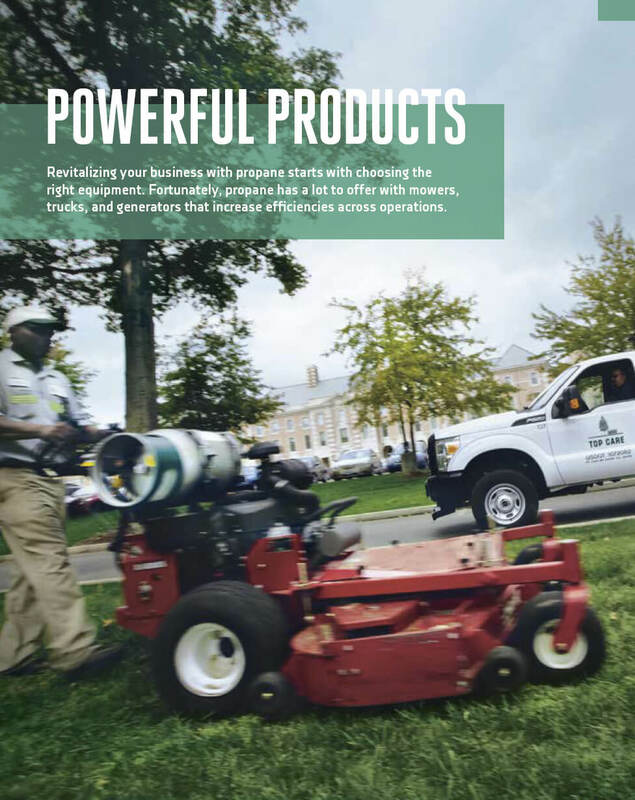 With a demanding year-round mowing season, this busy fleet required equipment that could keep up without causing delays for maintenance and costly repairs. they plan to transition all of their mowers to propane to enjoy even better savings. If you use propane …. Your Business is Our Business.